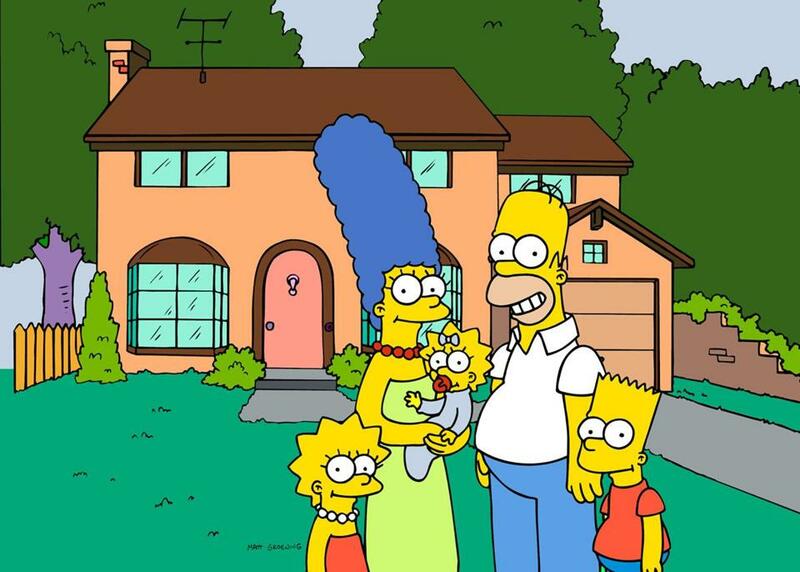 The book ‘‘Homer Economicus” zeroes in on a variety of economic fundamentals, as they have played in episodes of the show. You might not have known it, but all those episodes of ‘‘The Simpsons’’ were just secret economics lessons. Turns out the yellowish, four-fingered cartoon characters have a lot of insight to offer on basic economic theory. We know this thanks to Joshua Hall, an associate professor of economics at West Virginia University — and the brains behind the new book ‘‘Homer Economicus: The Simpsons and Economics’’ (Stanford University Press). Hall got the idea to incorporate pop culture icons like Homer Simpson into his lessons after teaching a three-hour night business class. “It’s hard to go three hours when you’re just lecturing and eyes start glazing over,’’ he said. Hall started using examples from ‘‘The Simpsons’’ to hammer home lessons -- from urban transportation in the monorail episode to a gambling lesson involving Mr. Burns and a casino. Hall began with the theory that episodes from the cartoon offered numerous: from the simple, such as supply and demand, to the more complex, such as the economics of immigration and health care. Hall, editor of the book, teamed up with several other economists to produce it, with each contributing an essay on a specific economics lesson to be learned from the show. ■ Individuals respond to incentives. ‘‘King-Size Homer’’ begins with Homer trying to avoid office calisthenics. He realizes if he is classified as disabled he can work at home and avoid any strenuous activity. After going through his options, he gains 61 pounds in order to be classified ‘‘hyper-obese.’’ While not everyone will respond to the same incentives as Homer, we all respond in a predictable way to changes in costs and benefits of an activity. ■ There is no such thing as a free lunch. A phrase frequently uttered by economists, this basically means that everything has a cost — it just might not be out-of-pocket. A prime example is when Homer finds an overturned sugar truck on the highway in ‘‘Lisa’s Rival.’’ He fills his car with this ‘‘free’’ sugar and spends considerable time and money trying to sell it — including taking an unpaid day off of work. ■ People make decisions at the margin. I frequently tell my students that to keep off weight, they should avoid all-you-can-eat buffets, because the cost of an extra plate of food is zero once you’ve paid to enter the restaurant. Now most of us reach the point pretty quickly where the benefit we get from another plate is zero, but for Homer it’s another story. In ‘‘New Kid on the Block,’’ he discovers the Frying Dutchman restaurant is all-you-can-eat. So he tries to eat until the benefit he gets from the last plate is zero, but unfortunately the restaurant runs out of food! ■ Money is a medium of exchange. A medium of exchange is anything that can be used to pay for goods or services. People often prefer to use a medium of exchange, such as money, in order to avoid the hassle and difficulty of bartering. As I tell my students, it would be hard for their parents to pay me for my class by giving me something that they produce, like legal services or third-grade teaching. Homer Simpsons reminds us of this basic point about one reason why money is valuable in ‘‘Boy-Scoutz ‘n the Hood.’’ In that episode, Homer is sitting on the couch eating peanuts. As he comes to the end of the jar, he tosses the last peanut toward his mouth, only to miss his mouth and have the peanut disappear. Desperately wanting the final peanut because it is ‘‘overflowing with the oil and salt of its departed brothers,’’ Homer frantically searches for the peanut under the couch, only to find a $20 bill. ■ Losses tell us to stop wasting resources. In a market economy, losses serve a very important function, namely of making clear to producers when they are wasting resources. If an entrepreneur goes out and purchases $10 of raw materials to produce a product that consumers will only buy for $7, then she has made herself and society worse off by $3. Idealistic and enthusiastic entrepreneurs have a tendency to throw good money behind bad schemes in an attempt to convince consumers of the value of their product, and mounting losses are often necessary to get them to change course. Homer Simpson’s brief foray into the grease business in 1998’s ‘‘Lard of the Dance’’ illustrates the importance of losses in a market economy. After realizing he can make money by selling grease, Homer and Bart fry up $27 worth of bacon in order to harvest four pounds of grease. They take their product to the grease buyer — who pays them meager 63 cents for the grease! After absorbing a 97 percent loss on his initial investment, Homer stops this particular resource-wasting scheme and takes up another (as usual). ■ Scarcity forces us to choose between competing ends. Even the consummate capitalist of the show, Mr. Burns, has to make choices to allocate his scarce time to things he wants to do, such as releasing the hounds. Every decision made by Homer over the 25 seasons of the show illustrates how scarcity necessitates choice. As far back as the fourth episode of the first season, we see Homer having to make a difficult choice. In ‘‘There’s No Disgrace Like Home,’’ Homer wants to take the family to therapy after an embarrassing day at the company picnic. However, a visit to Dr. Marvin Monroe’s office costs $250, which he can only get by pawning the family television set. Given his resources, Homer could not have both family counseling and television (“teacher, mother, secret lover”) and so he had to choose. ■ The value of goods is subjective. One of the hardest things to get students to understand is that thinking like an economist means taking people’s preferences as given. Aesthetically, an economist might feel that a Big Mouth Billy Bass is worthless. If his or her goal is to understand what is going on in the marketplace, however, the economist has to set personal feelings aside and recognize that different people value goods and services differently. This means that they will respond to changes in prices and incentives in very different ways.